America faces a new culture war. It is not a war about guns, abortions, or gays—rather it is a war against the creeping changes to our entrepreneurial culture, the true bedrock of who we are as a people. The new culture war is a battle between free enterprise and social democracy. 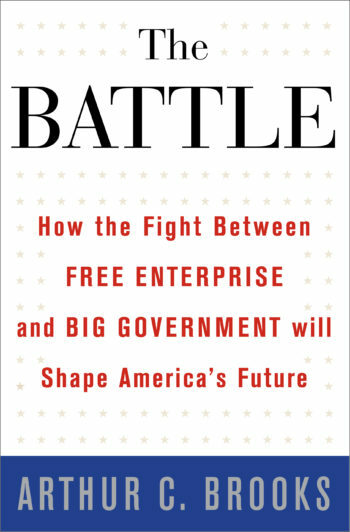 The Battle by Arthur C. Brooks, president of the American Enterprise Institute, offers a plan of action for the defense of free enterprise; it is at once a call to arms and a crucial redefinition of the political and moral gulf that divides Right and Left in America today. The battle is on, and nothing less than the soul of America is at stake. Arthur Brooks is also the author of Who Really Cares and Gross National Happiness, both published by Basic Books.